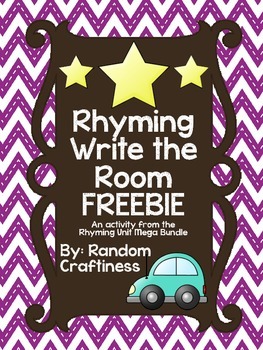 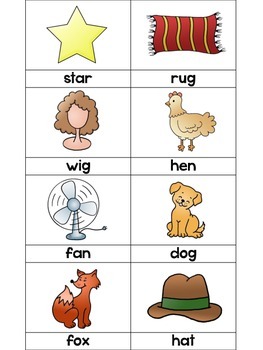 This Write the Room activity is great for students learning to rhyme. 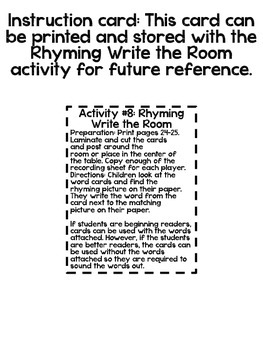 The pack includes the Write the Room cards and recording sheet. 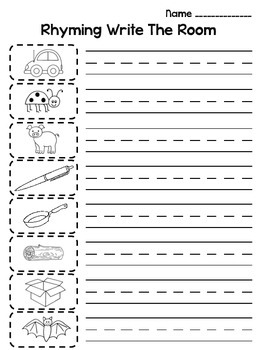 For beginning readers, the cards can be posted with the words attached to the bottom or, for an extra challenge, you can post just the pictures with the words cut off the bottom so students will sound out the words on their own.